The Easterseals NH Child Development Centers follow the National Association for the Education of Young Children quality standards. We provide an inclusive, comprehensive child development program for children from six weeks to five years of age ensuring quality, innovative educational programs. Our qualified staff is trained in ECE, first aid, and CPR. Our Child Development Centers are a fun place to learn & grow. We provide breakfast, lunch, and snacks and meet or exceed USDA guidelines. In addition, we provide FREE diapers, wipes, Similac infant formula and sunscreen for the children. Our open door policy encourages daily communication between caregivers and families. 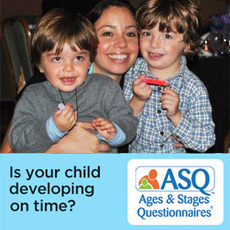 Our Child Development Centers have rolling admission with a waiting list. For additional information or to arrange a tour at one of our two facilities, call now! Attention Parents, prior to printing and filling out the required forms below, please contact us to ensure we have space for your child in our program. Once we have confirmed there is space, you will need to fill out each of these forms and turn them in prior to your child’s first day with us.